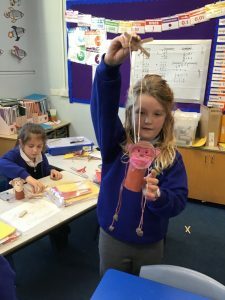 Puppet making in Year 3 Rowan. 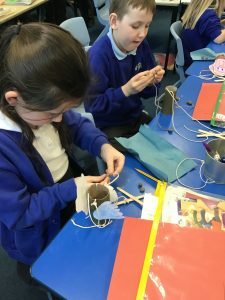 In Rowan this week, we have been creating our very own monkey puppets based on Leon and The Place Between. 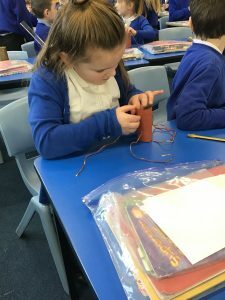 We have used a range of colouring pencils, paint and clay to make our puppets come alive! 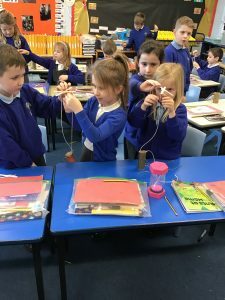 Once we created our puppets, we used them as the main characters for our puppet show. We have designed a scene for our puppets and we have created a backdrop. We preformed our scene for the rest of the class. It was lots of fun!